Please make it a priority to hear what the Prayer Team is doing to make St. Mark connected through prayer. If you feel like this is something you want to try, please sign up, show up, and pray as a family for your Church family. We will come together and pray for Church members, family, and friends. This will be a time to update our Prayer List and help our Facebook, phone, and email Prayer teams. We meet on the first Wednesday night of every month at 5pm. We would love to have you with us. Have you checked our Facebook page today? You can get the best updated prayer request. 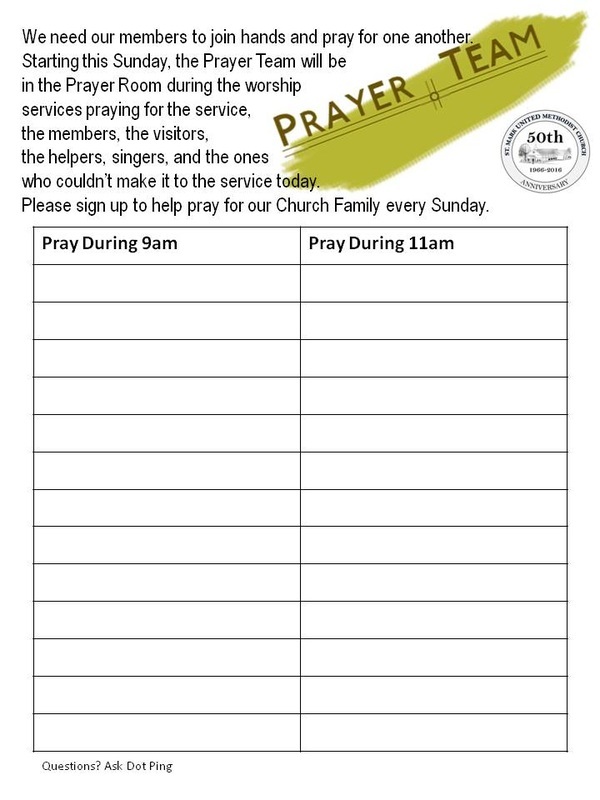 Join other church members as they call people on our prayer list to give them a listening ear in their time of need. Get on the Email List to get updates on our prayer list. Email stmark1966@cableone.net to join this ministry.